I can't get away from them. 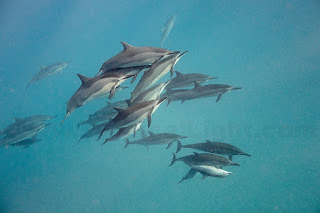 It seems that no matter where I swim these days, I get mobbed by hordes of Spinner Dolphins. This morning more than forty of them repeatedly approached me; I think they wanted to play. Many of them were already playing the leaf game and they wished I would join in. 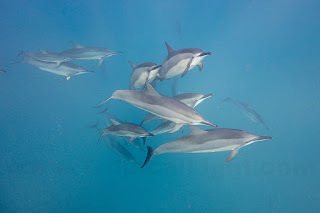 Click HERE for more photos from today's adventures in the deep blue.